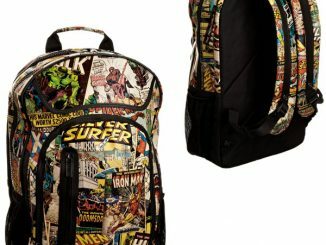 Carry your comic books, action figures and everything else in style, with this colorful Marvel Multi-Character Backpack. 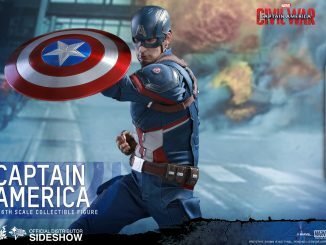 It’s Marvel-ous. 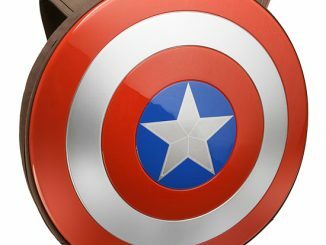 And you know that Stan Lee would wear this in a heartbeat. 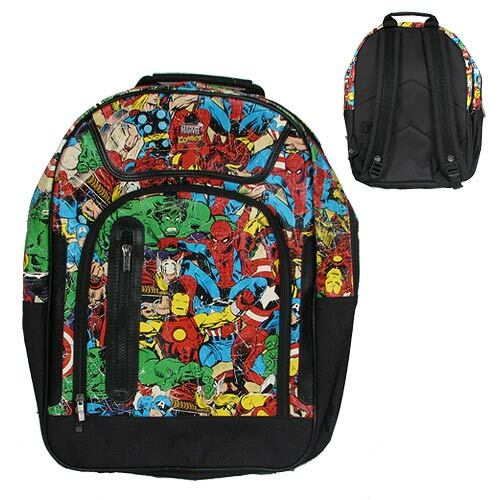 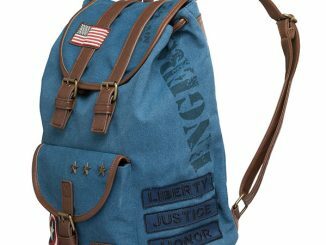 This Marvel Multi-Character Backpack features a cool collage of some of your favorite Marvel superheroes. 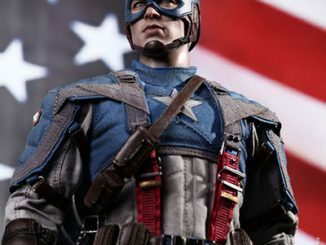 It is a Marvel free for all. 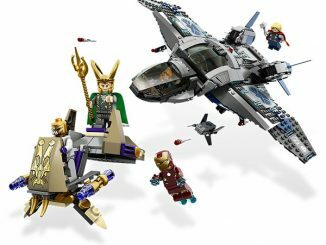 Iron Man is on board, Wolverine, Spider-Man, the Hulk, Captain America, and Thor! 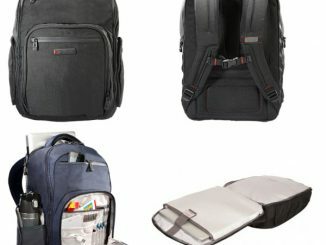 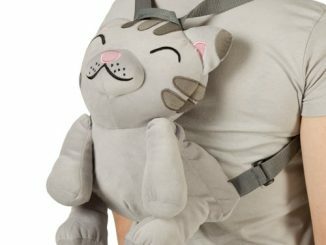 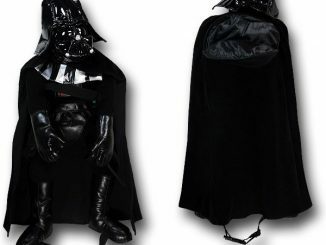 This backpack measures 18-inches tall x 15-inches wide x 4-inches deep. 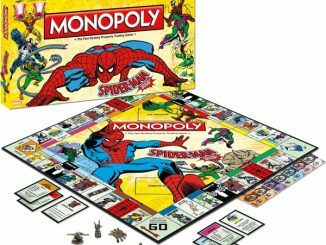 It is the perfect gift for Marvel fans young and old. 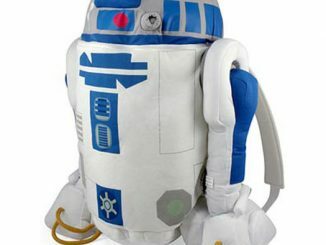 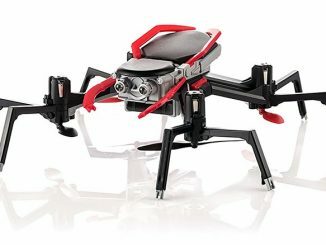 Only $39.99 from Entertainment Earth and $36.97 at Amazon.com.